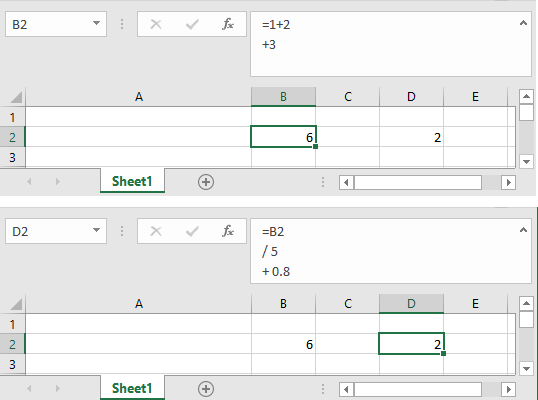 This section provides an review of the Excel IF function. The main examples are based on calculation of the amount of tax payable for an Australian resident individual. The taxation rates are shown in table 1. 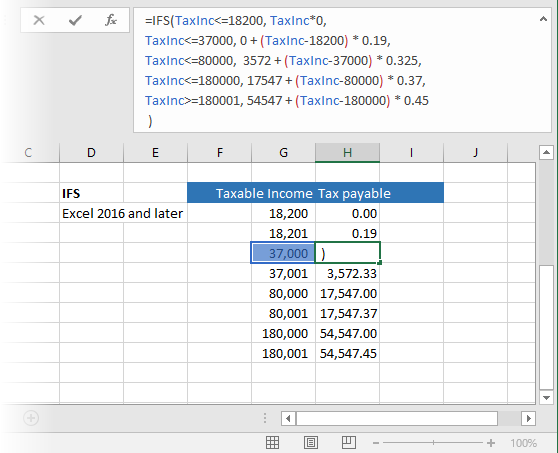 The Australian Taxation Office table of tax levels is applied to a series of nested IF functions - shown in the formula bar of the worksheet in figure 1. [B2].Formula = "=1+2" & Chr(10) & "+3"
Range("D2").FormulaR1C1 = "=RC[-2]" & Chr(10) & "/ 5" & Chr(10) & "+ 0.8"
IFS(Logical1, Value if True1 [,Logical2, Value if True2],…[Logical127, Value if True127]) Returns a value that corresponds to the first TRUE (logical) condition. The block version of the statement is contained within the If...End If key words. Highlighted lines 8 and 14.
'' Conditionally executes a group of statements, depending on the value of an expression. Line 3: Declare a variable named TaxInc as type Long. Its default value is 0. 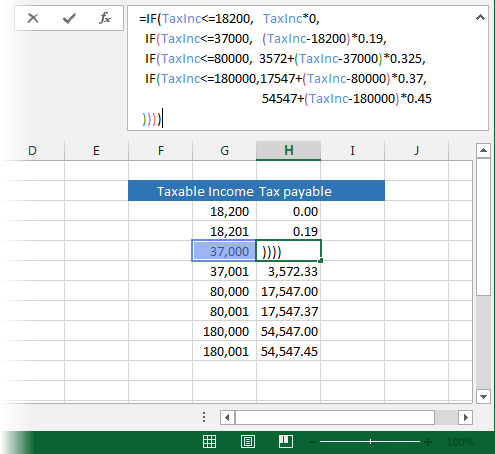 The maximum value of a VBA 7 long is 2,147,483,647; ie. 2^30 with base zero. Taxable income is in whole dollars. Note: Naming the procedure in code 2 as Tax2016 will return a #REF! 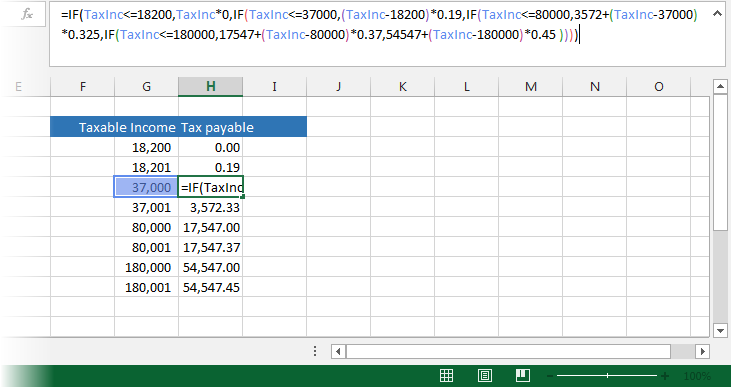 error in Excel, because Tax2016 is a valid cell address. The VBA Chr function is equivalent to Excel's CHAR function.